Life's recipe is what you make it. Southshore is a community that exceeds expectations in every way. 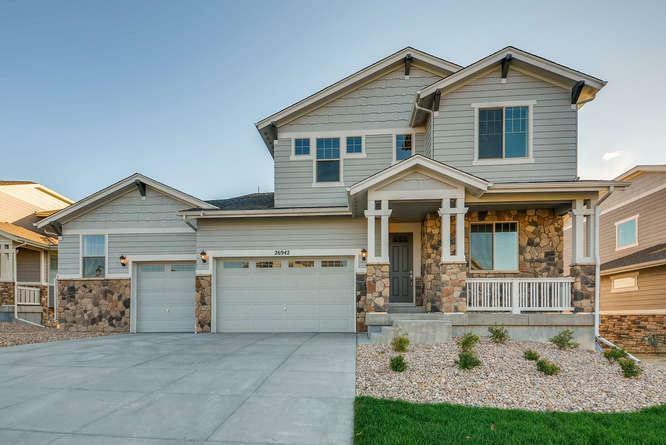 A beautiful setting, showcase homes, and easy access to Denver and the Tech Center places an exceptional quality of life at your fingertips. We're proud to introduce four exciting new collections at Southshore ranging from the $300's to the $500's. Our homes offer a variety of sizes and styles including Victorian, Colonial, Lakefront Cottage, Prairie, Craftsman, and Farmhouse. Gracious and superbly crafted, these homes will provide an unparalleled ownership experience. Make your first experience at Southshore in Aurora the magnificent Lakehouse that serves as proud sentinel over everyday life here with its salt-water pool, fitness center, kitchen, child care center and outdoor fire pit. Then take an evening sail on Aurora reservoir and you'll see why Southshore is a unique community where you are surrounded by life's treasures. Southshore is spectacular. As a previous recipient of the National Community of the Year award, it stands today as Colorado's one-of-kind communities.